Anybody who knows me knows I love music. 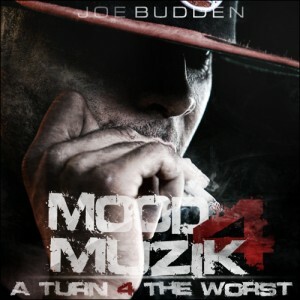 One of my favorite artists is rapper Joe Budden. The New Jersey MC and Slaughterhouse group founder is one of the illest lyricists out and he’s putting the final touches on the fourth installment of his critically acclaimed “Mood Muzik” mixtape series. It’s going to be released on October 26th and will be in stores like Best Buy, but if you can’t wait you can pre-order an exclusive autographed version now by clicking here. He’s released two great “Mood Muzik 4” (MM4) trailers online that have everyone buzzing, check them after the jump.